Bullet Ville, a game that’s current being developed by NOWWA, and beta testing will begin on the 21st of September. There’s currently no information about the game aside from awesome looking gameplay clips and gifs shared online. We did hover manage to get in contact with one of the developers and get a general idea of what the game is, which is an online competitive third person action platforming hero shooter, with coop play too, in a futuristic sci-fi western theme. From those small gameplay clips released and from our chat with the developer, the game will have multiple levels/maps with each one of them having its own unique look and feel, from a neon-filled Tokyo-like map, a desert and tropical one, to a modern city, and each map would provide a sandbox-like experience where you can roam around the world freely. But it’s not just walking around doing nothing, playing as one of your favorite heroes with their unique abilities, you’ll be able to hop in and ride various vehicles from cars to trucks, that can also fly, to even fire-breathing machine-gunning cyborg dinosaurs! How cool is that?! You’ll be facing various enemies in each word, and a lot of their designs and how they approach/attack you looks really interesting compared to the most games. Aside from that, you’ll be facing other players in competitive PVP matches, or join up with friends and finish up on roguelike missions. If that isn’t enough, there’ll even be a map editor! Regarding the first beta test, it’ll be a simple one where you’ll figure out how the game plays with its controls and movement system, as well as having fun with a swinging system using your grappling-hook and swing around like you’re Spiderman. NOWWA are seemingly bringing a big game to the market with Bullet Ville, one that we’re excited about to play-test and see advance into an encompassing experience of fun, exciting and an engaging gameplay experience. 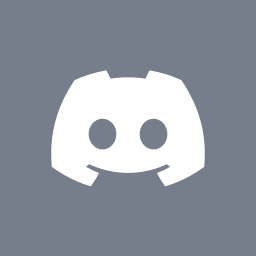 Sign up for the beta by joining the game’s Discord server.